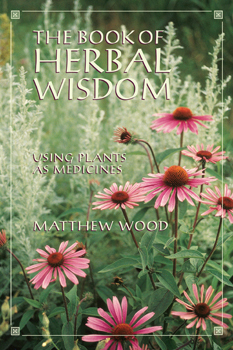 Matthew Wood is recognized worldwide as one of the United States' most reknown herbalists. His previous book, Seven Herbs: Plants as Healers, was a watershed in teaching herbal healing as a part of total wellness. In The Book of Herbal Wisdom, this is continued and enlarged in wonderful detail. This is a must-read for anyone working in the natural health field or interested in self healing with herbs. For those of us who consider not only our physical relationships to the herbs, but also the metaphysical ones, this book is invaluable. It affirms that when we work closely with nature, and the energies of the herbs and herbal medicine, we all are much better off. This is a work that empowers the reader and gives them a very deep knowledge of the herbs discussed.